Introductory offer for 99¢ per month during the first three months and than the monthly rate will increase to $3.99 per month. Thunderstorms early, then variable clouds overnight with still a chance of showers. Low 56F. Winds W at 10 to 20 mph. Chance of rain 80%..
Thunderstorms early, then variable clouds overnight with still a chance of showers. Low 56F. Winds W at 10 to 20 mph. Chance of rain 80%. Support local journalism. Subscribe today for 99¢. As a son of Roane and Jackson counties, I have seen the fortunes of West Virginia rise and fall largely based on the state’s ability to turn our abundant energy resources into a powerful driver for economic growth. Like many in Jackson County, my first job was at the Ravenswood Aluminum plant, which lost its smelting operations to Century Aluminum’s expansion in Iceland. For me, this loss was difficult, as my great-grandfather helped build that original Kaiser Aluminum plant, and my grandfather spent the majority of his career there. The potential to turn around the state’s fortunes by leveraging our resources has never been clearer, particularly as we enter into a long-term agreement with the largest coal and power company in the world that could bring up to $83.7 billion of investment in manufacturing to the state. It is an impressive investment into the chemical industry and manufacturing, but for West Virginia University it is no surprise. Our energy history with China goes back 15 years. WVU’s global expertise in energy innovation has produced collaborative research partnerships, training and educational exchanges with China that promote discoveries that have an impact on the lives of people in the state, the nation and the world. West Virginia’s core strength has always been in energy, and this partnership will use both our material resources and experience to renew and revitalize the petrochemical industry, which began in Appalachia in the early part of the previous century. WVU research shows that we are home to the world’s largest shale gas reserves in the Marcellus and Utica shale formations, and we are also in an ideal location for storage and transportation of those raw materials. The natural gas in our region contains high amounts of natural gas liquids, the building blocks of our petrochemical and plastics industries, which are converted into goods ranging from plastics and textiles to fuel. WVU has extensive history of research and innovation related to natural gas extraction and chemical conversion for manufacturing. This means the state has a true competitive advantage to develop an entire ecosystem for the industry from front to back end. And we are not interested in exporting those jobs or production. The development of manufacturing facilities, in addition to spin-off industries, will bring hundreds of thousands of permanent jobs stateside and directly into the state. In the years that WVU has worked with China Energy I have seen firsthand their vision to be progressive and integrated across the entire supply chain. They recognize the potential in West Virginia — both in our energy resources and our people. WVU has been at the forefront of gains in smart manufacturing, efficient manufacturing and lowering the overall environmental footprint of manufacturing. Through this partnership, China Energy will bring their technology and commercialization expertise to bear, commercializing and investing their technology in West Virginia. WVU scientists, researchers and students will partner with China Energy’s scientists on the research and co-development of next-generation low-carbon technologies that will make the best use of the resources that are available in our state. That is why — in partnership with the governor, the state Commerce Department and China Energy — WVU is poised to usher in the renaissance of the industry in the state and become the second major petrochemical hub in the U.S. It is a major step in the West Virginia Forward initiative, which is underpinned by examining the potential of our existing assets, growing and diversifying our economy, seeking disruptive trends, considering our regional impact and finding quick wins. This transformational investment shows that university research and higher education can play a key role in advancing our state and our country forward, molding research relationships into business development, jobs and economic growth. In the next decade, there will be a great need to train and attract the brightest scientists and engineers, as well as talents from law to skilled labor to design to delivery. WVU will also promote interdisciplinary collaboration on technology innovation, education and training, and joint energy business development. As a native West Virginian, I am hopeful and excited by the opportunities that lie ahead of us and to see the state move forward into a bright future. 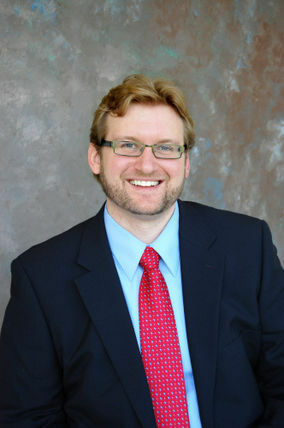 Brian Anderson is director of the WVU Energy Institute. Support local journalism. Subscribe today!